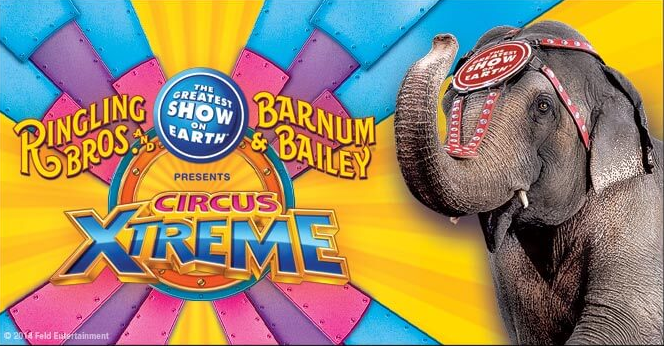 For a limited time, coupon code “GASSOUTH” saves you 20% on select tickets to most performances of Ringling Bros. and Barnum & Bailey’s Circus Xtreme. Or you can Promo code: VPAKL to save $6 on select tickets to most weekday performances & $3 on select tickets to most weekend performances. With the Reading with Ringling program, your kid can read to score a free kid’s ticket to Ringling Bros. and Barnum & Bailey’s Circus. You’ll need to purchase at least one adult ticket to get the deal, but you can bring three kids free per adult ticket purchased. The circus will be here from February 18-28, 2016. That is a great tip especially to people new to the blogosphere. Simple but very accurate information Be grateful for sharing this particular one. What other discount policy are you offering other than ringling bros. and barnum bailey circus discount codes? I am really glad to read this internet site posts which carries plenty of valuable facts, i appreciate you providing such data. Hey There. I discovered your blog using msn. That is a very neatly written article. I will be sure to bookmark it and return to read extra of your helpful information. Thank you for the post. I’ll certainly return. something totally, except this paragraph provides nice understanding even. I actually have book-marked it for later! Appreciate the recommendation. I want to try it out. Hi there, You have performed a fantastic job. I’ll certainly digg it and in my opinion recommend to my friends. You can certainly watch your enthusiasm inside the article you write. who aren’t afraid to mention how they believe. Always go after your heart. you to ultimately continue your great posts, have a nice morning! Hi, I go to your blogs regularly. Your humoristic style is witty, keep it up!